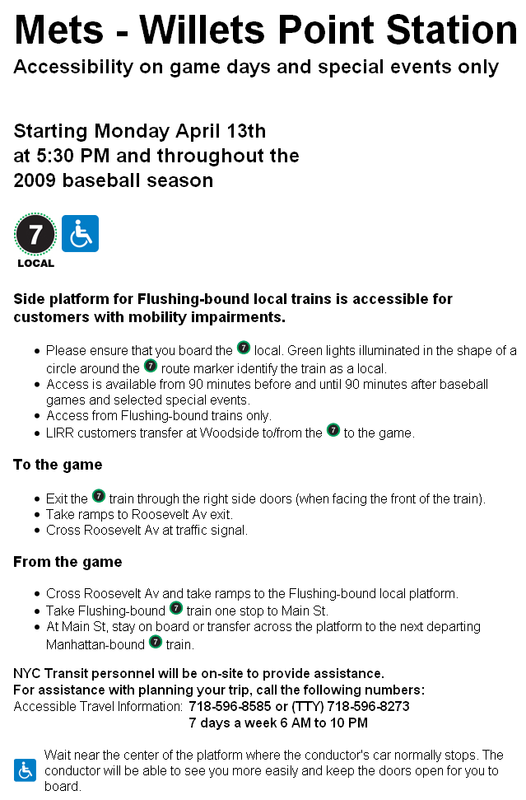 Along with the updated train schedules released today, Metro-North has announced the times of the first revenue trains to stop at the brand new station near Yankee Stadium in the Bronx called “Yankees – E. 153rd Street”. It opens on Saturday, May 23. The updated Hudson Line schedule have mentions of the new station written all over it, due to the station not opening until a few weeks after the schedule goes into effect, and also because some trains only stop at the station on certain game days. 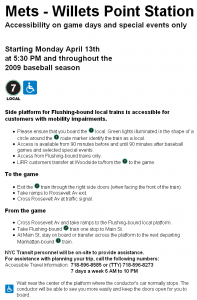 In addition, the press releases notes that “there will be a separate brochure and timetable for special Yankees game-day train service, including direct service from the Harlem and New Haven lines and shuttles to and from Manhattan.” I look forward to picking that up soon. Good luck to anyone planning on riding the first trains to stop at the new station, as well as the first direct New Haven line and Harlem line trains to arrive at and depart from the new station. As of the new May 3 2009 timetable update, Metro-North Railroad will be allowing bikes on more of its trains. Of note to bicyclists, with the May 3 timetable, Metro-North is relaxing restrictions on bicycle transport by allowing bikes to be carried on most Reverse Peak trains and in the periods immediately around the evening peak period. So now, bikes will be allowed on most trains departing Grand Central between 3 p.m. and 3:59 p.m. and from 8:01 p.m. to 8:15 p.m. Blanket prohibitions against bicycles during these periods will be replaced with train-specific restrictions. The object is to keep bicycles off those trains that have proven to be consistently crowded. The new timetables will provide customers with guidance on when bicycles may be carried aboard trains. Note: these symbols will only appear in the large, full-line (Hudson, Harlem and New Haven) timetables. The intent of this change is to make Metro-North more “bike-friendly” and to attract new customers who wish to use bicycles as part of their workday travel plans. Folding bicycles are allowed on board Metro-North trains at all times. And here’s a link to the existing rules. 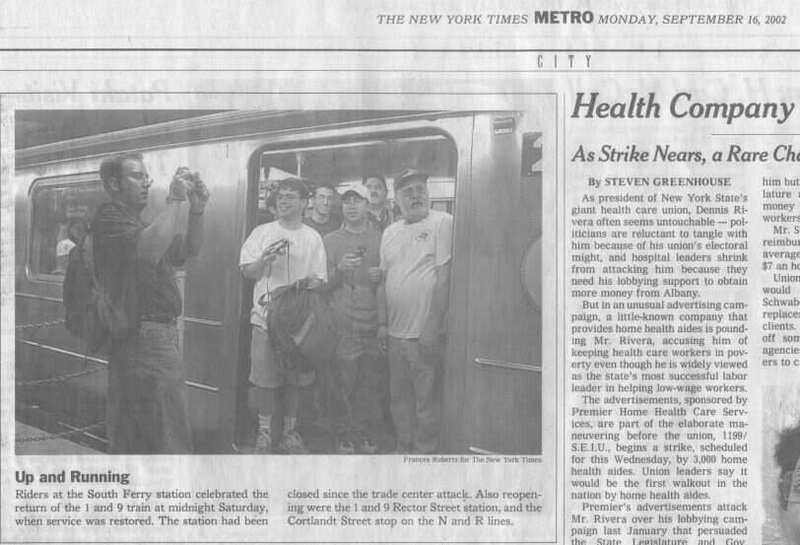 I took my bike on Metro-North once to go mountain biking at Blue Mountain in Peekskill and had no problems. I highly recommend the MNCR+BIKE combo. The MTA Long Island Rail Road 175th Anniversary celebration I mentioned earlier this week is in full swing now at Penn Station! The commemorative U.S. Postal Stamp Cancel is taking place in the 34th Street Entrance Corridor. The LIRR is giving out vintage envelopes with their old logos for you to add your own stamps to (or buy them there) and then have them hand canceled by the USPS. You can also purchase a special pre-stamped, pictorial envelope for hand cancel. They are a limited edition of 500, and they’re going fast! Correction: I believe the vintage envelopes that were handed out free were actually donated by the President of the Long Island Sunrise Trail Chapter of the NRHS. LIST also produced the limited edition pictorial envelopes that are for sale for $2.00 until 1:00 PM. Here are some photos of the event. You can also click the photo above to see all the photos I took. 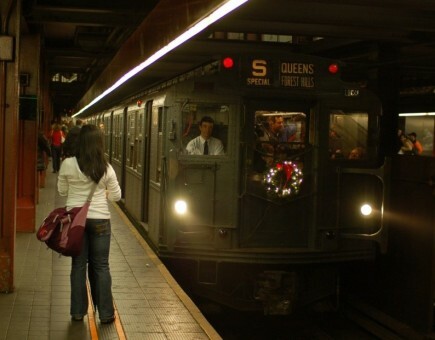 Vintage holiday subway train at 34 St - Herald Square on December 28, 2008. In honor of New York City mayor Michael R. Bloomberg declaring April 29th, 2009 “Duke Ellington Day,” The Islands Of The Bahamas is sponsoring a free ride (no additional cost beyond the normal subway fare) on the New York City Transit Museum’s vintage/nostalgia subway train. The train, made up of 1930’s/1940’s IND R-1 thru R-9 series subway cars, will depart from 125 Street on the (A) (B) (C) (D) at 10:00 AM and run express along the (A), making all normal express stops to Howard Beach on the (A). The train will then make a return trip along the same route, though the time of departure is not yet known. It could be within a few minutes of arrival at Howard Beach. In commemoration and celebration of the legendary musician and cultural icon, The Islands Of The Bahamas is sponsoring an April 29th run of the last surviving 1939 “A” train. The inspiration for Duke Ellington’s signature tune, Take the A Train, the historic and beautifully restored “A” train will depart 125th Street at 10 a.m. on Wednesday, April 29, making express stops through Manhattan and Brooklyn to Howard Beach in Queens. Open to the public, the festive round-trip runs will prove once again that taking the “A” train is still indeed the quickest way to Sugar Hill in Harlem. For more background information on the day’s events, click here. 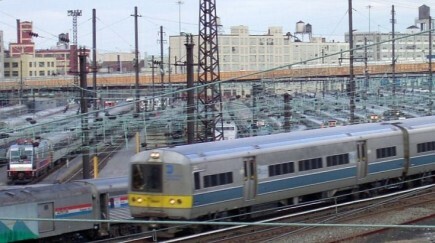 LIRR M-3 passing Sunnyside Yard on January 9, 2003. This Friday the Long Island Rail Road will be celebrating its 175th Anniversary with events at both Penn Station and Jamaica station. 8:00 AM to 1:00 PM – United States Postal Service will be hand canceling letters with a specially designed postmark commemorating the LIRR’s 175th anniversary (34th Street Entrance Corridor). 12:45 PM – LIRR train adorned with 175th Anniversary drumhead to be on display at platform level. 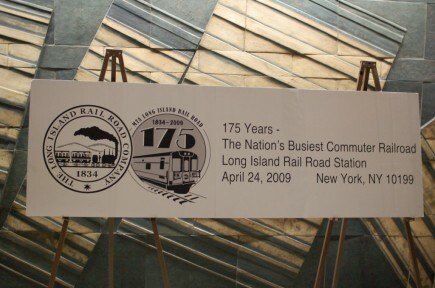 1:00 PM – Official Long Island Rail Road 175th Anniversary Ceremony (street-level Atrium of the AirTrain JFK Building at 144-21 94th Avenue). As part of the series of Customer Appreciation Giveaway Days in honor of their 175th Anniversary, the Long Island Rail Road is holding numerous raffle drawings today at Penn Station. Prizes include METS tickets and MACYS gift certificates. Good stuff. I assume this is all happening down on the LIRR level, either in the 34th Street Entrance Corridor or over by the LIRR ticket windows. Check it out. 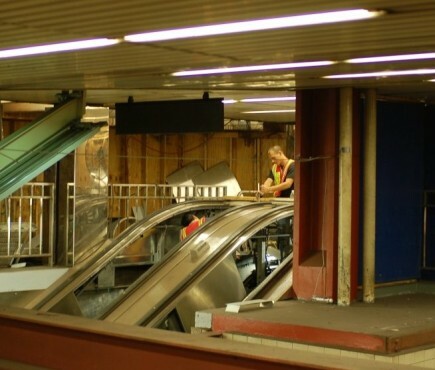 Workers fixing an escalator at 34 St - Herald Sq on 9/6/2006. Today’s amNY newspaper reports that subway contractor Fujitec America botched the $36 million installation of new escalators in the Herald Square subway station. It’s gotten so bad, that this weekend, 5 of the 12 escalators were out of service. Why is this so complicated??? The MTA spent $36 million last year to overhaul the Herald Square escalators. But the contractor, Fujitec America, didn’t install the equipment correctly and must make mechanical adjustments, New York City Transit officials said. Throughout the subway system, the average number of failures on MTA-operated escalators jumped 46 percent in the last quarter of 2008 compared to 2006, according to the latest Transit reports. Fujitec America could not be reached for comment Sunday.